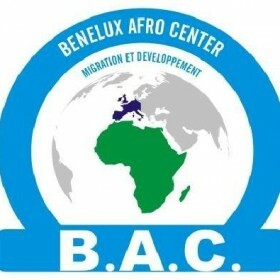 The Benelux Afrocenter (BAC), a WorldLoop partner active in the Democratic Republic of Congo, has launched a third e-waste recycling initiative in DR Congo. With the support of the King Baudouin Foundation, BAC will expand its collection, dismantling and recycling activities to a new region in DR Congo, namely Bas Congo, the region between Matadi and Kinshasa. A special focus during the activities are the activation and training of young adults in the region to raise awareness and do collection of e-waste in the vast region of Bas Congo. This will help both BAC to increase its reach and will help the youngsters, who are often unemployed or have difficulties to access the labour market, to get training and access to employment. The set-up of a warehouse in Matadi, the main port of the country, will also support the e-waste collection and recycling activities in other parts of Congo, namely Kinshasa and Lubumbashi. Complex fraction that cannot be recycled locally can be stored in the warehouse and shipped to Europe to be recycled by European recycling partners who have the best technology available. The King Baudouin Foundation will support the activities for two years. At the same time, the Congolese government, with the support of the World Bank, launched a study on the need for a good e-waste recycling infrastructure in the Democratic Republic of Congo. The outcomes of this study will hopefully help the further development of responsible e-waste recycling in the country.